Appalachian Dracula was famously quoted as saying, “I never drink . . . moonshine.” Teach the original Dracula a thing or two with this Groupon. 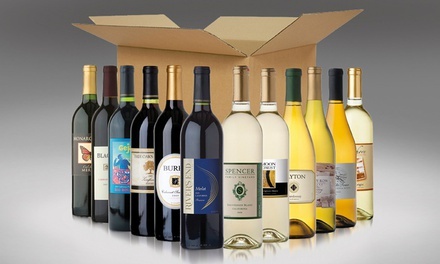 The online boutique’s bottle selection includes a 2012 La Petite Tour Classic White ($9.99), a 2011 Black Fox cabernet sauvignon ($14.99), and various wine assortments ($139.99+) such as the California White and the Mystery Reds. Shipping costs just $0.01 if you order 12 or more bottles. Limit 3 per person, may buy 1 additional as a gift. Limit 1 per order. Valid online only. Ships only to select states. Not valid for club memberships. Not valid for shipping or tax.